Posies Hand Dyed Bamboo Jersey Pads with Fleece backs - Pick Your Size! 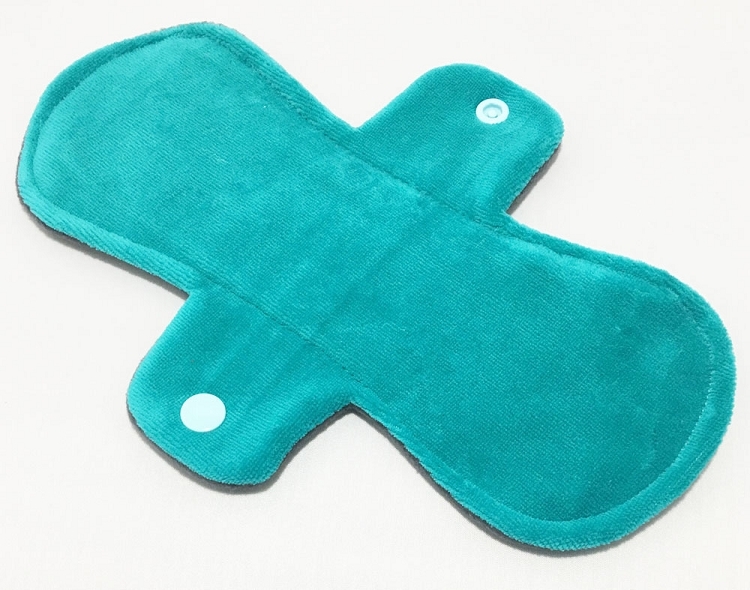 This 9" Day Pad features a Teal Cotton Velour top. The pad is backed with Water Resistant Windpro Fleece and features an absorbent core made of Bamboo Fleece. This 9" Day Pad is ready to ship in our 2 3/4" Wide Width.